Water usage efficiency is now a key part of commercial and government responsibility. Many leaks go undetected and can cost thousands of dollars, not to mention potential infrastructure damage. Knowing when, where and how you’re using water can give you the information to understand how you can improve efficiency. Device tracks water related variables to empower and encourage you to save water and money. The device get connects to your water supply line collects flow and usage information and streams the information to the cloud. Water consumption monitoring cloud services allows viewing daily consumption rates and acting quickly if consumption increases unexpectedly. Run the device for a week to get a baseline for your water usage. 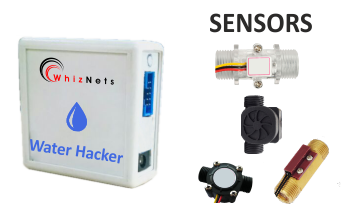 Connect the device to various other water lines to identify the water consumption. Investigate how much water you are consuming. If necessary try optimizing the water consumption and increase your savings.